Innovation in aircraft technology will improve every aspect of air travel, including whether movies make you weepy, how your Bloody Mary tastes, and even whether you feel jet-lagged after a long flight. Kola Olayinka, British Airways’ Regional Commercial Manager for Nigeria, says, “For many of us air travel has become such a routine event that it’s hard to believe the first flight was less than 115 years ago. But advances in design and materials mean that air travel will in the next few years change radically, easing many of the factors that some flyers – especially frequent ones – may find irksome. 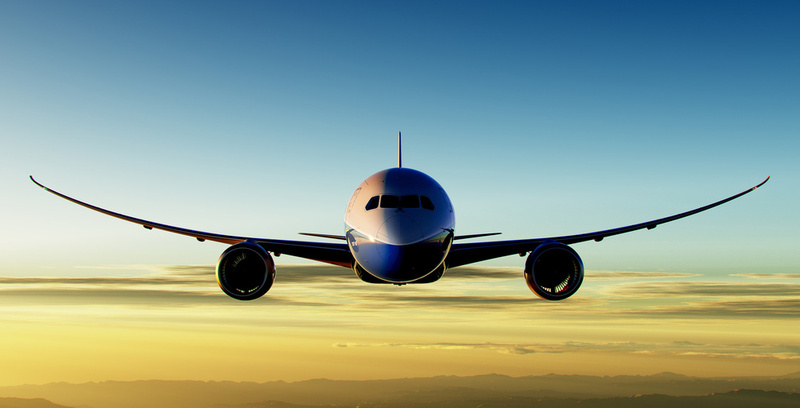 Just one example: the new Boeing 787 Dreamliner is the first airliner to be made mostly from carbon-fiber reinforced plastic, rather than aluminum. That’s changing one of the main factors affecting one’s experience of air-travel: pressurization of airliner cabins. Olayinka explains: for many years, cabins have been pressurized to the equivalent of 8 000 feet (2400 metres), the maximum pressurization that aircraft airframes have been able to handle. But the carbon-composite composition of advanced airframes like that of the Dreamliner allow cabins to be pressurized more highly than conventional aluminum airframes. The air inside an airliner cabin is also much drier than we are used to. It has to be dry to prevent corrosion of the aircraft. As the aircraft ascends, humidity levels fall and air-pressure drops. Another factor is noise: new-generation airliners like the Dreamliner are much quieter than their predecessors and, says Olayinka, that effects air-travel in some surprising ways. Around 80% of what we taste is influenced by smell, which in turn is affected by humidity: that’s because our nasal passages need to be moist to do any smelling, and as the air aboard most airliners is drier than desert air, food can taste pretty bland. The combination of dry air and low air-pressure aboard airliners also makes food and drink taste around a third less salty and sweet, while sour, spicy and bitter flavours don’t seem to be affected. The fifth taste – umami – the savoury flavour of tomatoes, soy sauce, mushrooms, isn’t affected by altitude. That may be why some passengers who seldom drink tomato juice and Bloody Marys on the ground do so when flying. It’s also why airline catering is an art and why food is often more robustly flavoured than it would be in a restaurant on the ground. Recent research has shown that noise influences taste too: loud background noise seems to lead to food being perceived as less sweet and less salty than food eaten in quiet surroundings. As ambient noise in airline cabins decreases due to the better insulation afforded by space-age materials like carbon-composites, so food will be flavoured differently. It may also change how we feel about in-flight entertainment: it’s not uncommon for passengers to find they’re more emotional about a movie while airborne than they would be on the ground. So, if you have a bit of a cry about something that wouldn’t normally affect you – say, an Adam Sandler comedy – it might well be due to the cabin pressure, rather than the profound and poignant performance by the lead actor. Another innovation in years to come may be the elimination of windows, replacing them with thin, light, high-definition screens that would show passengers the passing world outside the aircraft. This would reduce the weight of the aircraft and claustrophobia occasionally experienced by some passengers. Feedback from British Airways’ customers about its Dreamliners reveal some other benefits. The bigger windows help counter motion sickness and the lower cabin altitude and mood lighting, reduce the effects of jet lag. “Air travel has come a long way from the days of pioneers like Wilbur and Orville Wright and Louis Blériot, but the next few years are likely to be exciting for those of us involved in the airline sector and the customers we serve,” concludes Olayinka. British Airways has just taken delivery of its 25th Dreamliner, a 787-8 aircraft, taking the total number of long-haul aircraft in the airline’s fleet to 137.